Our project to create a $41.9 million traffic interchange at Bell Road and Grand Avenue (US 60) is about to take a big step forward. On Tuesday, Nov. 22, Bell Road is scheduled to reopen after being closed since April 1. That closure has made it possible to get the majority of the work done without interfering with spring training baseball or the holiday shopping season. As of next week, area drivers will be able to shop on both sides of Grand Avenue using the new Bell Road bridge. The slideshow above allows you to follow the progress even before construction began, starting with community involvement that helped create a project and timeline that supported businesses and residents. 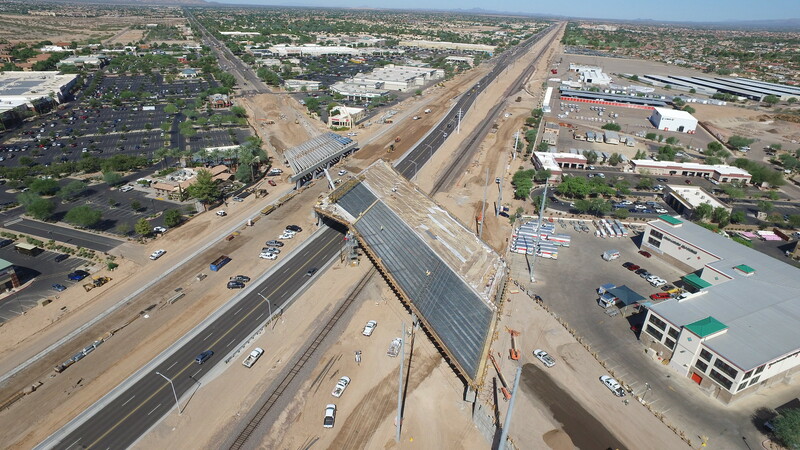 You can find dozens of additional photos on ADOT's Flickr page. There are more Bell/Grand updates to come, as the entire project, including ramps to and from Grand Avenue, is scheduled for completion before spring training.